When their bus is crippled on the side of a deserted road, a team of high school athletes discover an opponent they cannot defeat - and may not survive. Staring hungrily at them through the school bus windows, the "Creeper" returns again and again. But when the teammates discover that it's selective about whom it attacks, it will test their ability to stick together - as the insatiable menace tries to tear them apart. 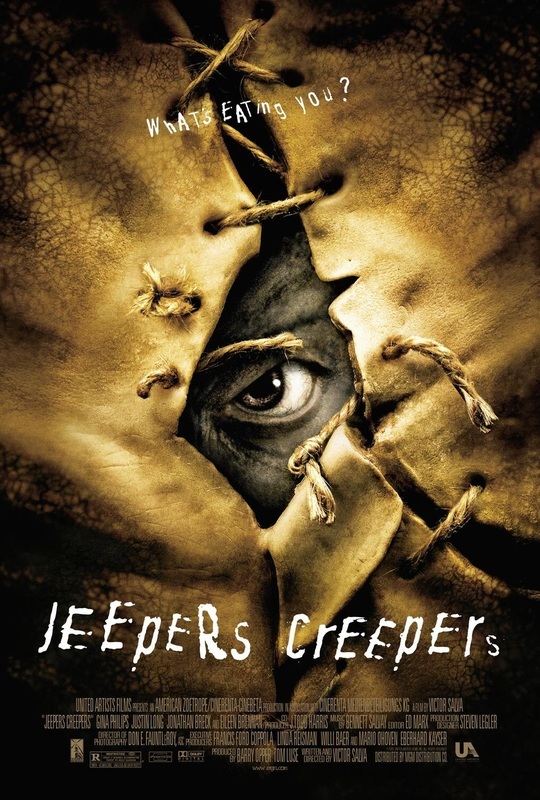 The Creeper - Jeepers Creepers Movie Prop Peplicas, Figures, Toys and Collectibles! Hollywood Collectibles presents the Creeper, a flesh-eating ancient beast that resurfaces every 23 years to feed, stalking prey and collecting body parts since the most ancient of times, killing anyone and anything that is foolish enough to get in his way. This amazingly detailed piece captures perfectly this demonic monster, standing with his heavy axe in one hand (used to mercilessly decapitate or dismember his hapless victims) and a severed head in the other. This incredible 20" tall statue is constructed from heavyweight polystone and then hand painted to the finest detail. 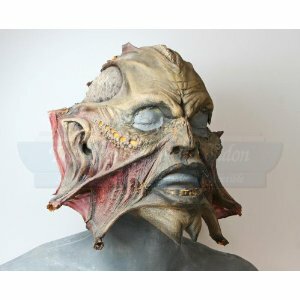 This is a Creeper mask from the 2001 horror film Jeepers Creepers. Two teenagers find themselves in a cat-and-mouse game with a vicious monster. At the end of the film, the Creeper (Jonathan Breck) shows his true colors, expanding his face like a Dilophosaurus. This prosthetic mask is made of foam latex, painted dull shades of green and pink. It features a Creature-from-the-Black-Lagoon-like facial structure, with gills and an ominous countenance. The piece is displayed on its original head bust. The entire display measures about 16" x 20" x 11" (41cm x 51cm x 28cm).